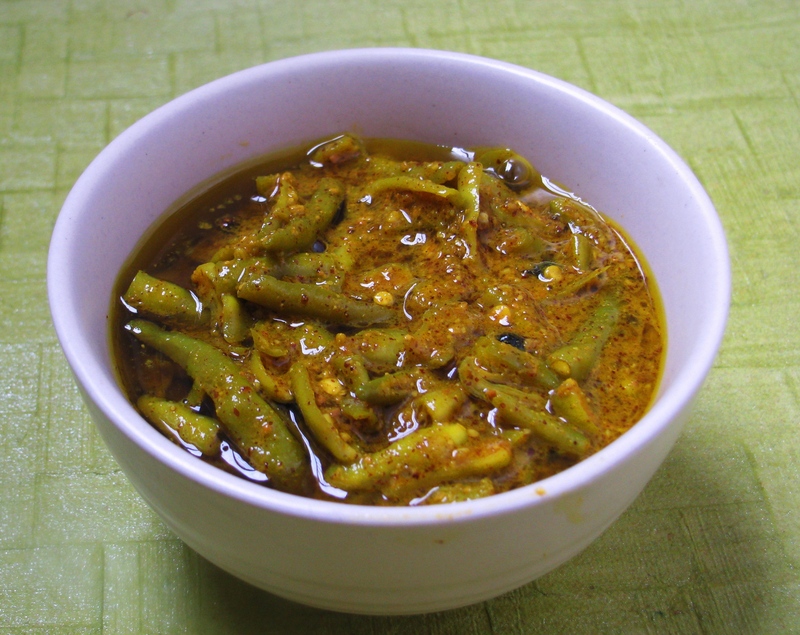 This hot and sour Chilli pickle recipe (hari mirch ka achar) will spice up any meal. It tastes same as ready-made Green Chilli pickle and has a long shelf life. The pungent taste of mustard ( rai / kali sarso) gives nice flavor to this pickle. I always prefer homemade pickles as they are prepared with high quality ingredients. At home we can make perfect pickle in a hygienic manner. In ready-made pickles, lots of preservatives and color are added to give it a good color and to increase its shelf life. Synthetic colors which are used in this ready made pickles are not good for our health. Many of us think that making pickle is a hectic task and we simply don’t go for it. Actually it’s hectic if you are planning to make a big batch of pickle. There are variety of Indian pickles which are made in particular season due to availability of these ingredients. I don’t make big batch of pickles. I make pickle which will go for a maximum of 1 or 2 months except sweet lime pickle which I want round the year. I make Green Chilli pickle whenever I get good quality green chillies which are less spicy. 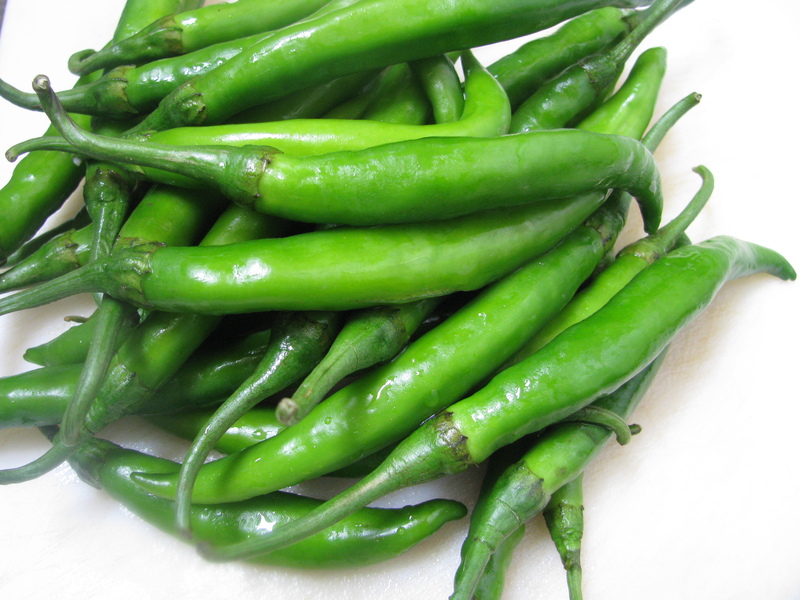 There are lots of ways to choose perfect Green Chillies for green chilli pickle. Pick up the chilly and smell it. If the smell is very strong don’t buy the chili. Ask the vegetable vendor about the spiciness of Chillies. 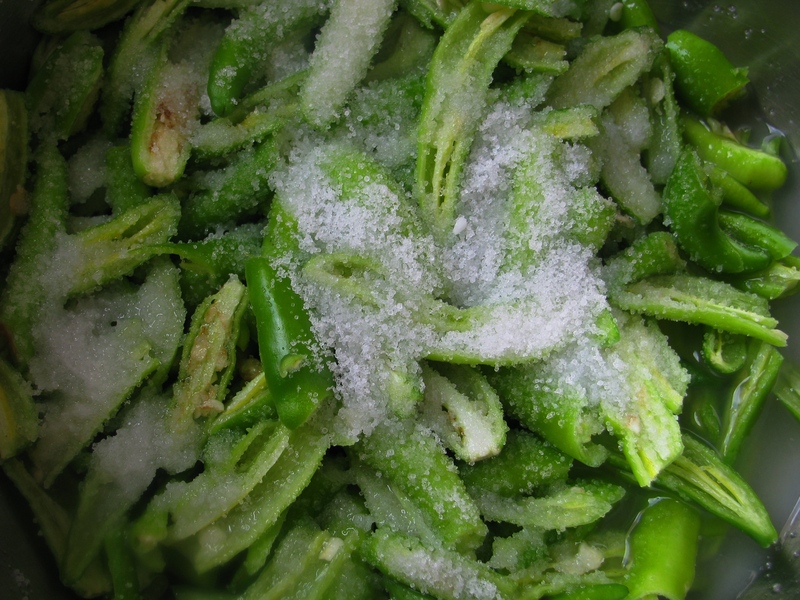 Choose fresh Chilies to make pickle. Check it’s stalk ( danthal /deth), it should be fresh Green not black or brown , It indicates the freshness of Chillies . Fresh plucked chilies are thick which make the pickle juicy and tasty. Freshly plucked green long chillies make tasty pickle. 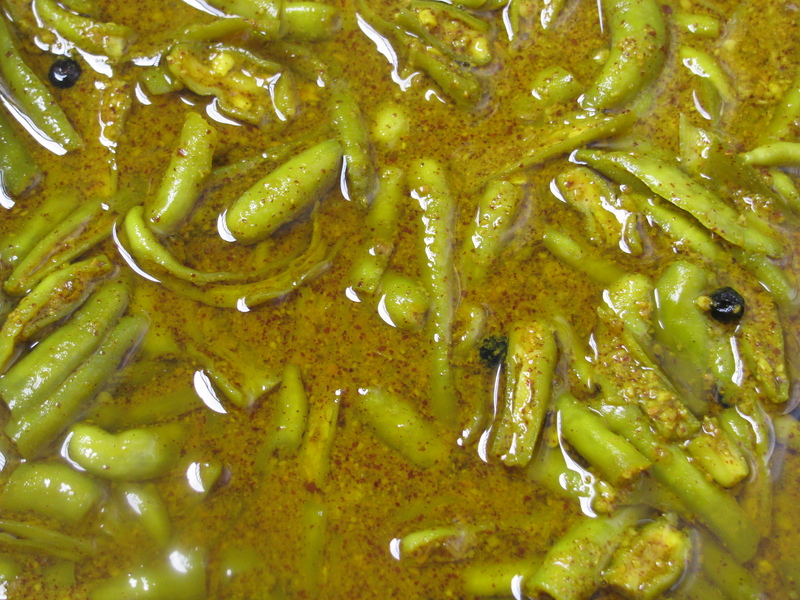 Green Chili pickle is made in all parts of india. In Hindi it is called as Hari Mirch ka Achar, in Marathi it is called as Hirwya Mirchi che Loncha and in Gujarati it is called as Marcha nu Athanu. Spices added in this pickle is more or less same, the only difference is the oil used to make this pickle. 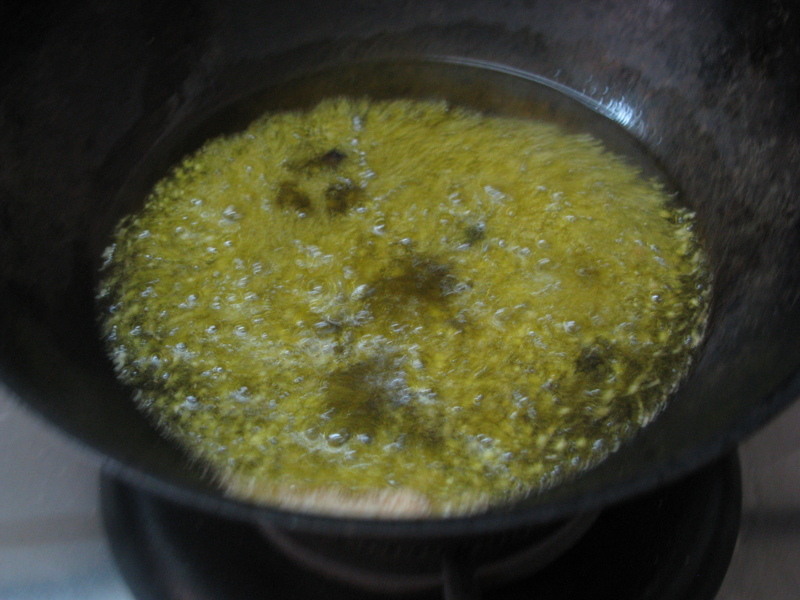 I add filtered mustard oil or groundnut oil to make pickle. Both mustard oil and groundnut oil increase the shelf life of pickle. In north Indian style pickles mustard oil (sarso ka tel) is used . Mustard oil has anti-fungal and antibacterial property and it has a unique flavor which enhances the tastes of the pickle. In Maharashtra and Gujarat, they love the flavor of groundnut oil, especially the filtered one, and they add this oil to their pickle . Mustard seeds (rai / Mohri / kali sarso ) is the main ingredient of this pickle. When I was in Pune, I used to add splitted dehusked mustard seeds also called as rai na curia (in Gujarati) / Mohri chi dal ( in Marathi) in my pickle. It gives nice colour to the pickle. But in Delhi it was difficult to get sarso ki dal, so I added mustard seed powder in this pickle . Taste was same but only difference was the color of pickle. I add lemon juice to make this pickle. Lemon juice with Green chilies works very well in this pickle . I like juicy pickle as compared to dry one except stuffed chilli pickle which can be dry. That’s why I prefer to add lemon juice as compared to dry mango powder ( amchur) in green chilli pickle . I add amchur in stuffed red chilli pickle. I also add little vinegar (sirka) in this pickle as it gives good taste and increases shelf life. 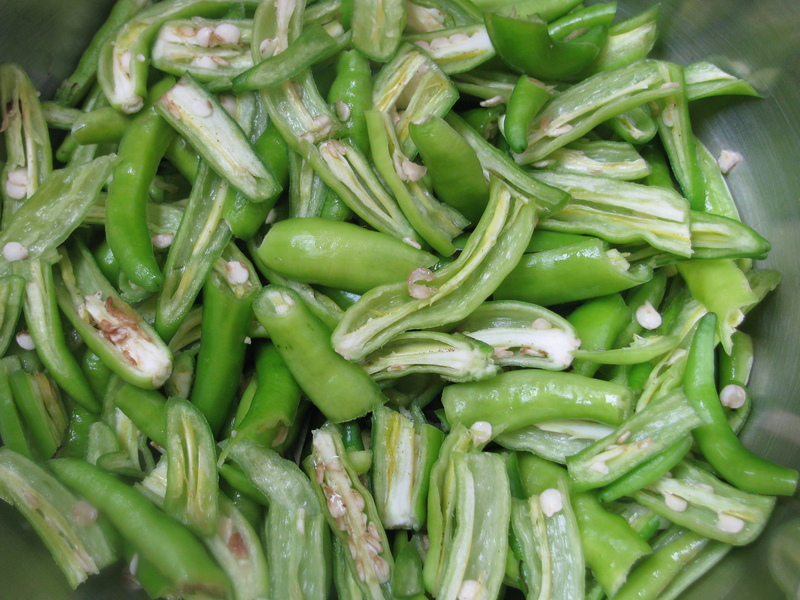 Wash fresh green chillies properly, wipe them with a clean dry cloth, remove the stalks ( danthal / deth ) of chillies. Cut the chilies lengthwise and make 1/2 of them . Add salt and lemon juice to it, mix it and keep it in glass bowl or jar, cover it with plate. Keep it in sun for 1 day . 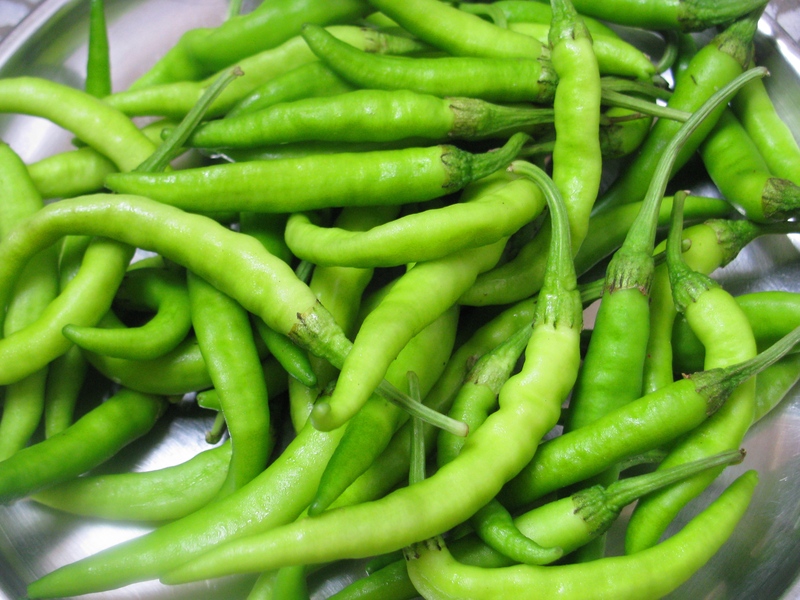 Green chilies will become yellowish green in hot sun . Let it cool down for whole night . 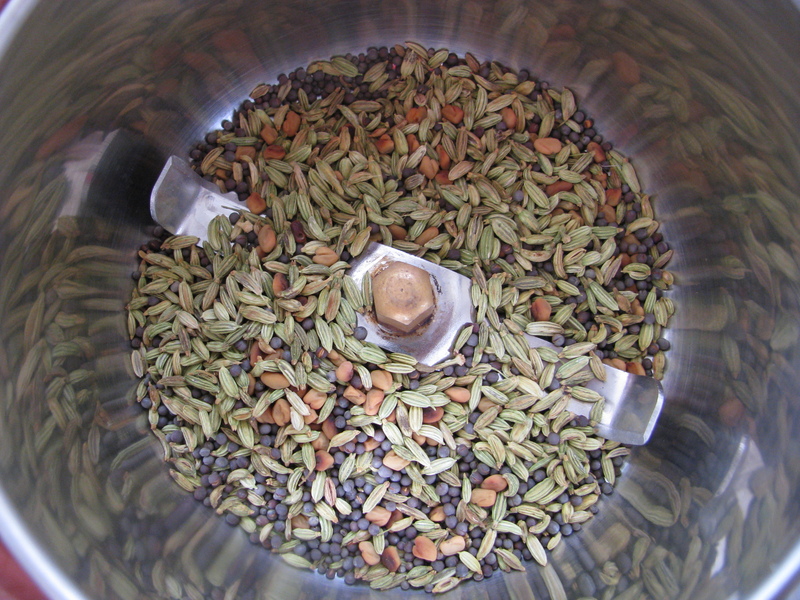 Next day roast mustard seeds, fenugreek seeds, badi saunf separately for 1-2 minutes on low flame. Let it cool down and put it in mixer jar. Make a fine powder of it . 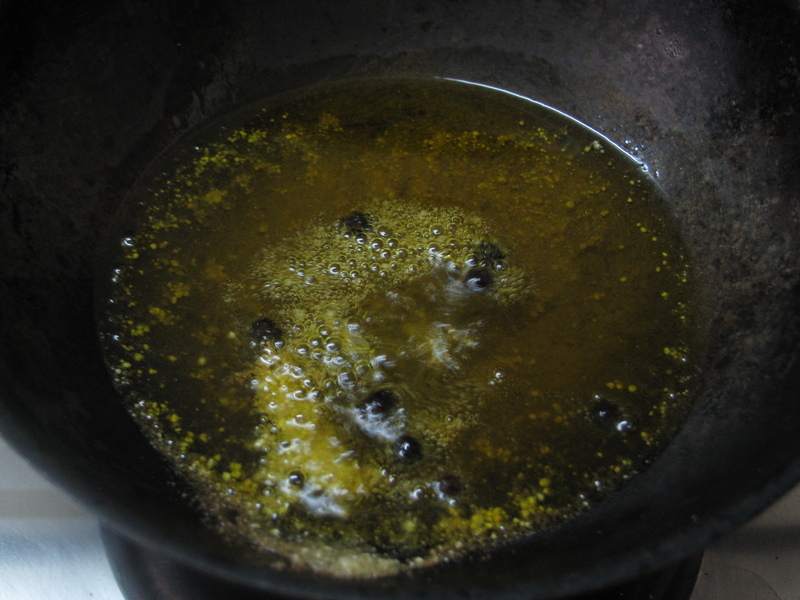 Heat oil in a pan, when it becomes hot, add black pepper to it. Remove it from flame and add asafoetida ( hing) to it. Let it cool down. 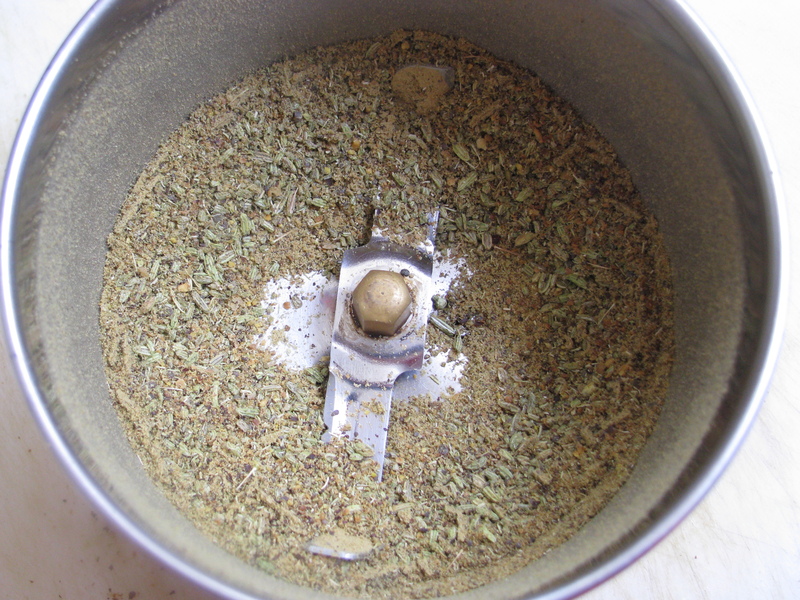 Add this masala ( spice) powder, coriander powder, turmeric powder, oil and vinegar ( sirka) to chilies and mix it nicely. Keep this pickle in clean glass jar. Stir the pickle up and down twice everyday with dry clean spoon. From next day, you can start eating this tasty green chili pickle. Spice up your meal with this tasty pickle. Thanks for sharing your thoughts on Aloo Paratha Side Dish recipes. Very good article and informative one. Chilli pickle was very tasty, I tried various types but this was fantastic. Very hot and spicy but very tasty side dish. A good side dish for almost every stuffed Paratha’s.